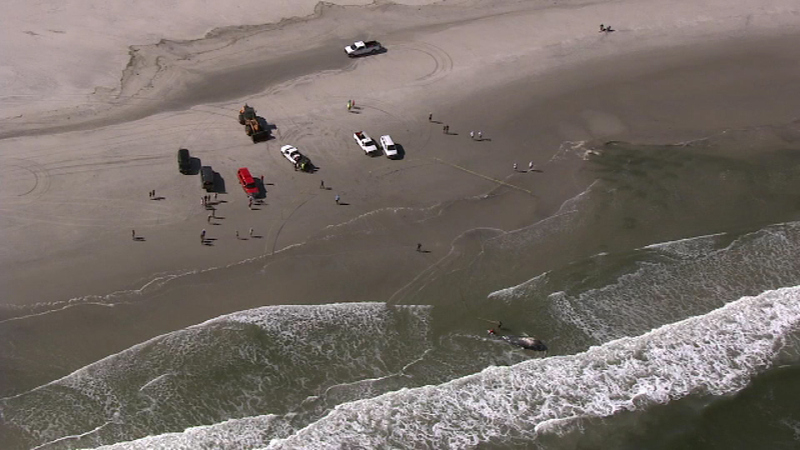 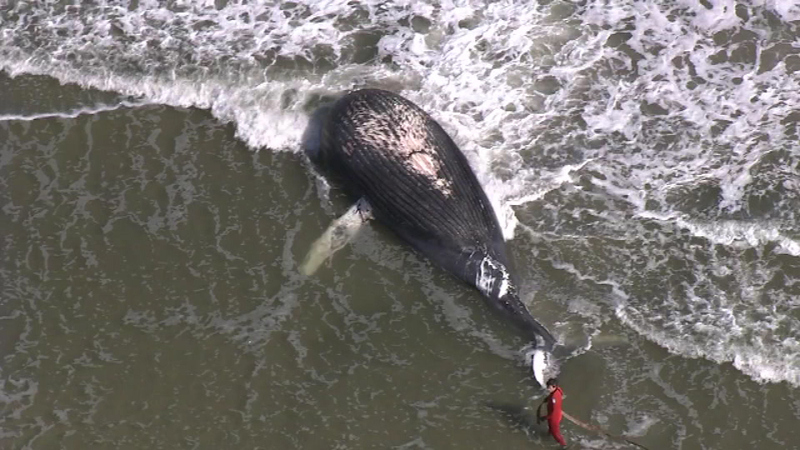 SEA ISLE CITY, NJ -- Officials believe a whale that washed ashore in New Jersey Friday afternoon died due to human interaction. 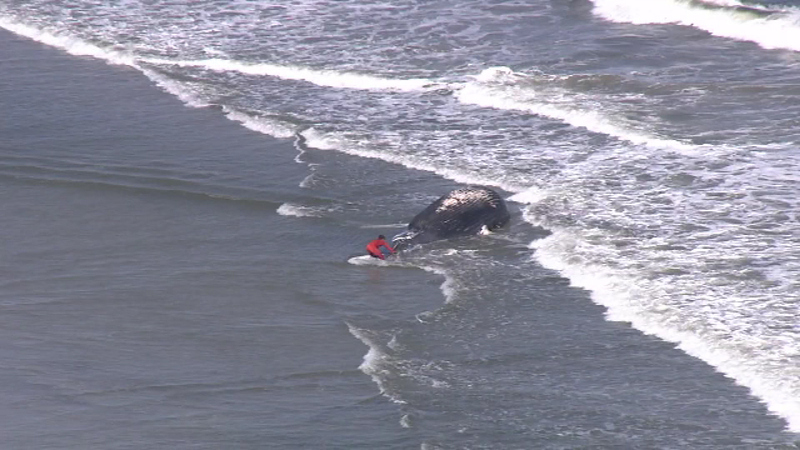 A necropsy was completed on Saturday and showed that the approximately 33 foot whale was at some point entangled in commercial fishing line due to the scaring on its body, according to the Marine Mammal Stranding Center in Brigantine. 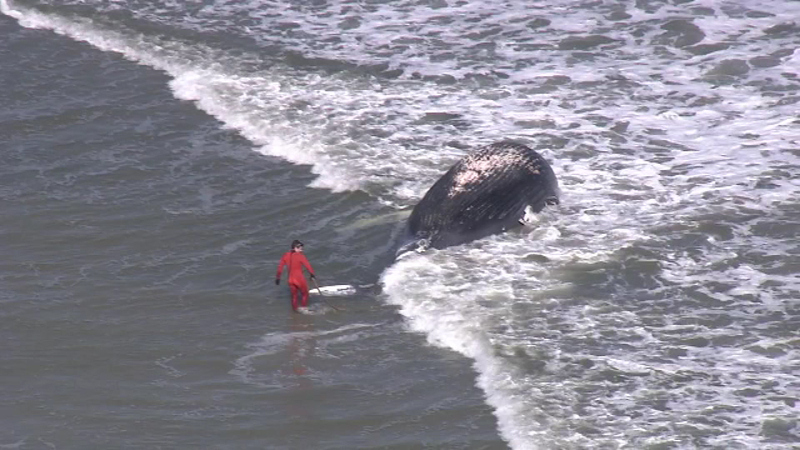 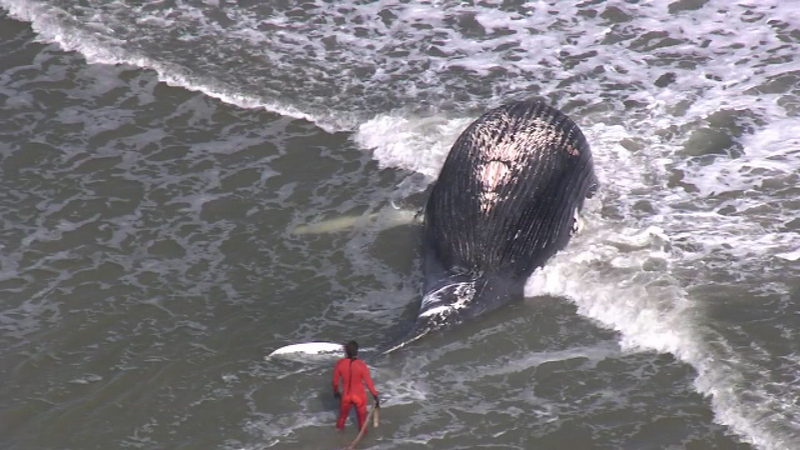 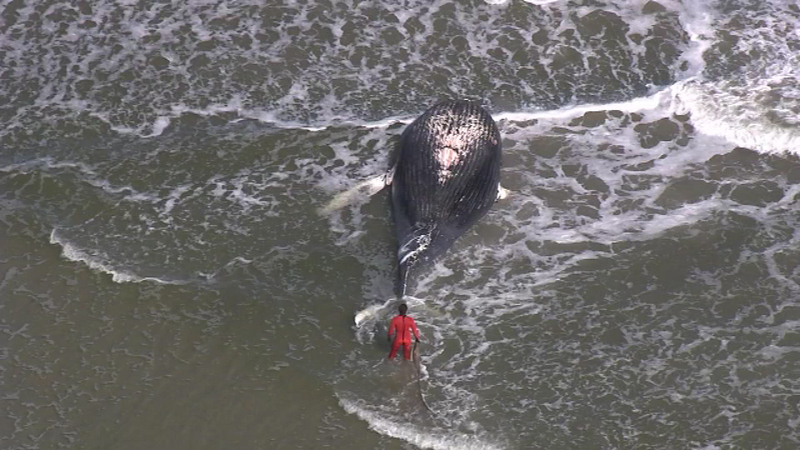 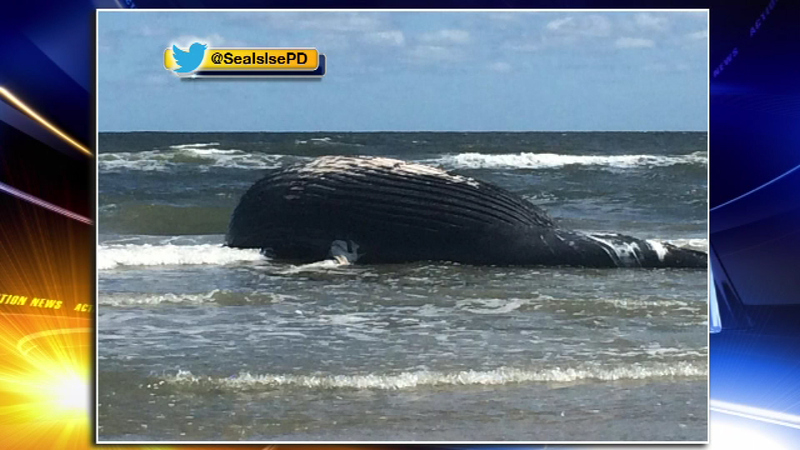 The 20-ton whale was very emaciated, which officials believe led to its death.